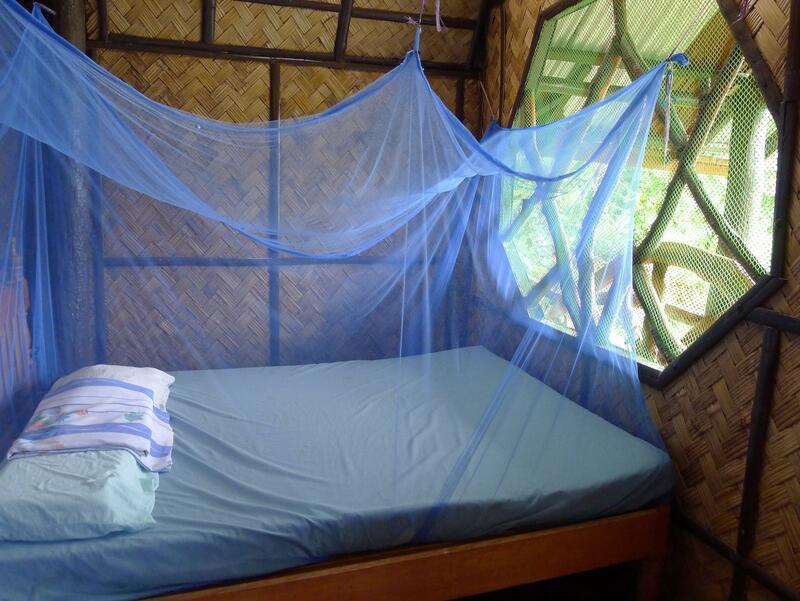 ﻿ Blue Bamboo Sunbird Cottages, Palawan - SAVE ON AGODA! "Extremely affordable at only 350p per night, with 90p delici..."
Have a question for Blue Bamboo Sunbird Cottages? "We plan to transfer to other hostel nearby but the owner transferred us to a nice room and nice scenic view cottage." "We stayed in one of the back bungalows and had an awesome view of the ocean from our balcony." "In parallel of all of that you will have an superb view on the sea and garden, you will be in the calm of the forest, my cottage and bed was clean." "The hospitality of the owner is the best !!" 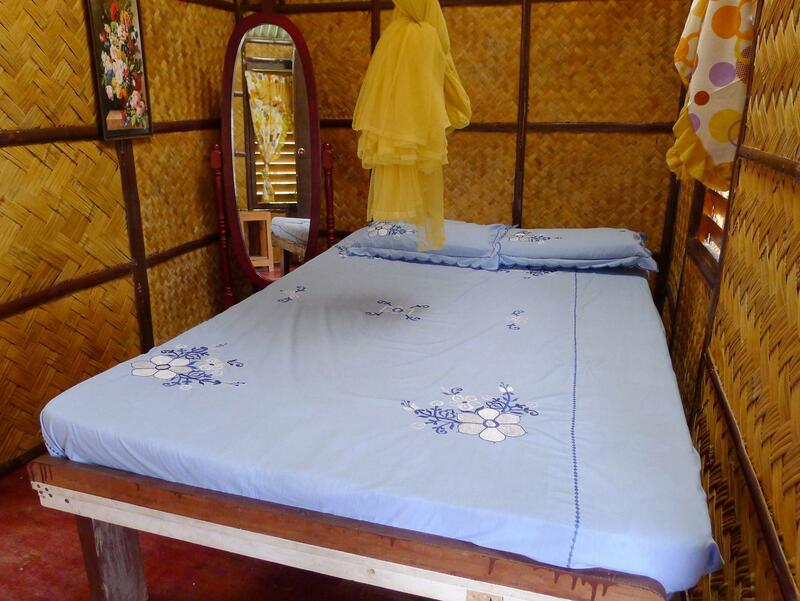 Blue Bamboo Sunbird Cottages, located in Puerto Princesa, Palawan, is a popular choice for travelers. Situated only 70 km from the city center, guests are well located to enjoy the town's attractions and activities. With its convenient location, the hotel offers easy access to the city's must-see destinations. 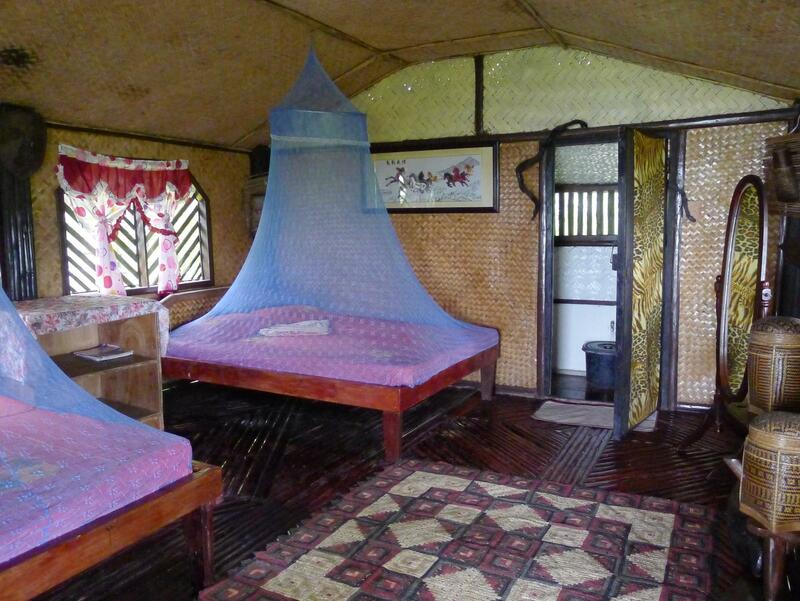 The facilities and services provided by Blue Bamboo Sunbird Cottages ensure a pleasant stay for guests. For the comfort and convenience of guests, the hotel offers Wi-Fi in public areas, airport transfer, family room, restaurant, tours. Hotel accommodations have been carefully appointed to the highest degree of comfort and convenience. In some of the rooms, guests can find non smoking rooms, balcony/terrace, shower, seating area, mosquito net. Whether you're a fitness enthusiast or are just looking for a way to unwind after a hard day, you will be entertained by top-class recreational facilities such as garden. Superb facilities and an excellent location make the Blue Bamboo Sunbird Cottages the perfect base from which to enjoy your stay in Palawan. "Very nice and quiet place to relax and enjoy the holiday in..."
Generator electricity supply is only available from 6PM to 11PM. Additional charges will apply if guests request for additional hours of electricity at the guesthouse. Puerto Princesa Subterranean River National Park Management (PPSRNP) has set a carrying capacity for the Underground River. All persons are strictly required to secure an entry permit from the Underground River Booking Office before entering the Puerto Princesa Subterranean River National Park. Visitors are required to present valid identification cards and register individually prior to the tour, to ensure park admission. Please contact your hotel or resort directly (for specific instructions and arrangements prior to arrival at Puerto Princesa. When we came, WiFi didn't work and they couldn't check our reservation. We received a room with the private bathroom, but we weren't sure if it's correct so we reported it to reception. The lady was really nice to us and she allowed us to stay there, because they hadn't many guests at that time. The night was terrible. There was a rat, it ate our food, destroyed also the backpack and trousers. We couldn't sleep all night because we heard it trying to eat more our things. Next day when we wake up the owner of this place came back. She started to shout at us that Agoda hasn't sent her our reservation instead of good morning. We showed her our booking and payment confirmation but she continue to be very rude and primitive. She can't even let another person to finish the sentence. It is the worse "customer service" I ever met. Finally we showed her a confirmation also at her phone. Then she started to shout at us that we are in the wrong room. I tried to explained her that we spoke with reception about this issue yesterday but she didn't listen. We agreed to change the room immediately (instead of a trip which we plan). We packed everything and another lady showed us a new room. Then again the owner came with shouts and a problem to us(!?) that this is not the right room. I am the client, how can I know that? Finally they showed us the third room when we spent the second night. The rat was also there. She want us to pay some additional money, but it was not out mistake. To sum up, the view was amazing and Debbie is a lovely and helpful person, but I can not recommend this place because of the exceptional rude owner and rats. If you can, choose different place. No hot water no toiletseet no fan an only electricity from 6 to 11 pm . Road to the cottages is very rocky, electric fans didn't work. Decided to stay somewhere else but still paid for the place. Needs investment and updates to remain relevent in the sabang accommodation market. If you brave the 500 metre trek up a rocky and muddy path (see note below) and forgo such frivolities as flush toilets and electric fans (or even electricity apart from a few hours of noisy generation each evening) you will be rewarded with one of the finest sea and mountain views in the Philippines! Note: The resort had a tricycle, but responses to communication were haphazard. If you haven't been able get an assurance of a pick up, and you arrive late you will struggle to find a tricycle and you may wish to leave luggage in the adjacent restaurant and go and get assistance - you can't miss Blue Bamboo if you follow the beach south from the pier. Strong footwear and flashlight advised. Room tip - best views are from the highest cottage for obvious reasons but only for the fit! The end cottages on the lower row are nearly as good. The big beach front cottage used to be favorite but its increasing age and the new higher fence and abandoned beach cottage in front, are negatives. A bit noise from playing children, animals, motorboats etc. and walls, floors and roofs are made of bamboo and not soundtight, not remotly. Good staf and the son of the owner who was in charge during our stay, is VERY good. Dean (the manager) was most helpful. He made is feel like we were home. The room was simple. We got what we paid for. It was reasonable priced. The view of the ocean was awesome. Each meal was gone cooked to order. All in all if you want a simple basic inexpensive place to stay then you found it. Very nice and quiet place to relax and enjoy the holiday in the cottage house for good prices. We arrived at Sabang around 10pm(w/c we notified them ahead) thru a cab we rented for P1500 from the City. The cab cant pass thru the small, rough, rocky and muddy road to the resort so the driver just walked to the resort(as we wait infront of the wharf), advised one the resort's staff that we've arrived and explained the road situation and ask if he can pick us up. We've waited but no one came so we've decided to just chk in on one of those lodges nearby. After our UR tour, we went to the resort and advised them that we will be consuming our 2nd night stay and we need some help in getting our stuff back at the other lodge but again no one came. The owner did not even talked to us when we see her at the property and maybe ask us what happened. We just spent the night there and left early. 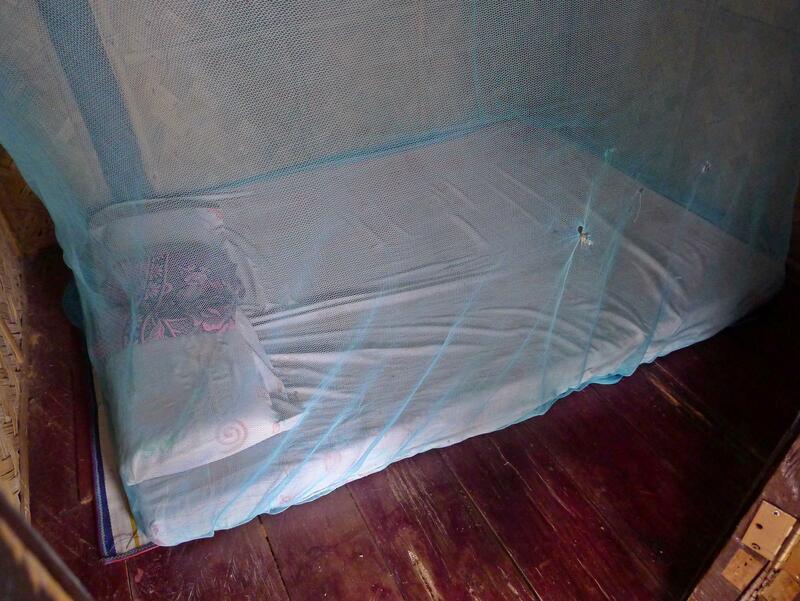 There were no fans in the rooms, though mosquito nets are provided. ONE OF THE WORST ACCOMODATIONS I'VE EXPERIENCED IN MY TRAVELLING LIFE. The internet site looks impressive but the actual site is disappointing. We checked in then after seeing the place, we decided to look for another place. Agoda should not include this on their list of cottages. What I like more about Sunbird Cottages is the hospitality of the owner. She's just the best! If you have to stay overnight this is probably the cheapest option in town. Due to the fact that there is no power plant in town, there's no electricity! There are a very few generators in town operating a few hours a day in the evening. But you won't have internet access - neither through wifi nor through mobile data. So make sure you've got your gadgets fully charged when you get here. The hostel offers nothing but a bed to sleep. There's no hot water or any kind of comfort. So if you don't feel comfortable with that I don't recommend to stay here. For everyone else it's the place to be! It is definitely recommended to stay overnight in town to avoid the tourist invasion in the morning. Catch the first ride to the underground river and you'll have an experience you'll never forget! The owner was really unfriendly, rude even. The room looked promising on the outside but it was terrible. No toilet paper, no towels, no flushing toilet, the dirt fell from the ceiling on top of us, through the mosquito net (which had holes in it, just like the sheets). Near to no waterpressure from the shower. Also, location is terrible as it is far up a dirt road where there is no access for vehicles (so we walked with our heavy backpacks all the way). There are much better places along the other side of the wharf, because this is not even worth $5. We had 3 nights there and just left after 1 night.